The Director General, Nigerian Maritime Administration and Safety Agency, Dr. Dakuku Peterside, has berated the Rivers State Governor, Nyesom Wike, over the governor’s recent revocation of the Certificate of Occupancy of Port Harcourt-based Novotel Hotel. 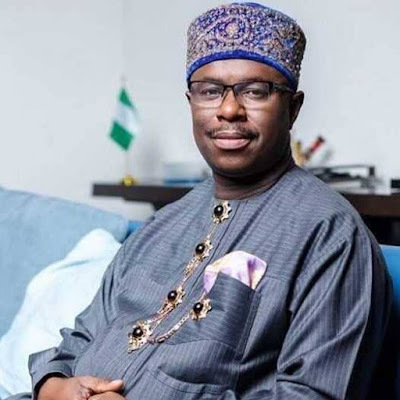 Peterside, who described Wike’s action as worse traits of fascism, said he had forewarned Rivers people and the international community in 2015 that Wike should not be trusted to protect their investments and stakes. He wondered how a state governor, who took an oath of office to uphold and respect the Nigerian constitution, would revoke a document as crucial to property and business as Certificate of Occupancy without any impartial adjudication. “Wike had sworn to uphold the Nigerian constitution without fear or favour and ill-will or malice against any citizen. It is now left to Wike and his conscience to check whether he has been faithful to his oath,” he said in a statement on Tuesday. Reacting, the Rivers State Chairman of the Peoples Democratic Party, Chief Felix Obuah, said the governor’s order to revoke the hotel was in order, adding that the facility was used to perpetrate electoral crime. Obuah, who spoke through his Special Adviser on Media and Publicity, Mr. Jerry Needam, argued that Wike’s order to revoke Novotel Hotel’s Certificate of Occupancy would save Rivers people from embarrassment.